Laura Shaw was born in 1887 and died in the 1940's. She was born in Nevada and went to Owen's Lake in 1915, in her last years she lived at Lone Pine. She was an alcoholic and died in a camp fire. 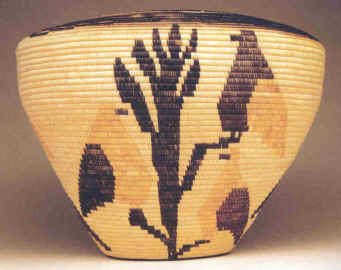 Her baskets depict shorebirds.